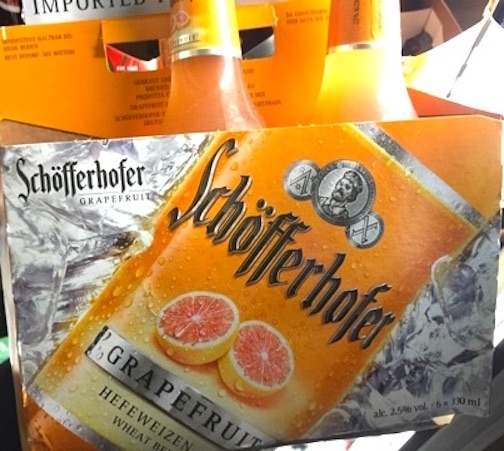 Schofferhofer German Hefeweizen Grapefruit Beer is a very delicious and refreshing beer. This German grapefruit beer is quickly gaining popularity in the United States as well as many other countries. Binding-Brauerei AG is the German brewery that makes this product. Schofferhofer is a popular brand of German wheat beer (or bier). Hefeweizen is German for “wheat beer.” This tasty Schofferhofer grapefruit beer is essentially made of a 50% wheat beer and 50% carbonated all natural grapefruit juice mix. This wheat beer has a well-rounded taste. I really like the refreshing tangy flavor. There are also wonderful and addictive hints of sweetness. With 2.5% alcohol, this is truly a thirst-quenching beer without too much alcohol to make you thirsty again. 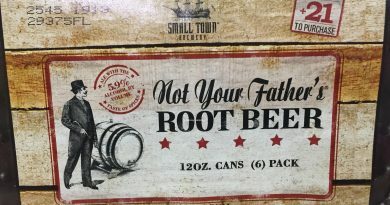 When I first tried this, I was surprised by how refreshing it was. Grapefruit is probably one of the best choices for a fruit beer. The citrus in this beer doesn’t come with the tartness you’d expect from a grapefruit. Great for the summer. Good choice for a light but flavorful drink. Wheat beer. Carbonated grapefruit juice and other juices. Cochineal coloring. You’re probably wondering what cochineal is. It is a natural red color addictive used in many food and makeup items, ranging from flavored cappuccino to candy to sausage. Many juices, yogurts, sauces, and even cosmetic items use this for natural coloring. Cochineal is derived from a scale insect named the Cochineal Scale (Dactylopius Coccus). This substance is a naturally occurring compound that we have been using for hundreds of years. Rest assured…it’s completely fine for your body. Schofferhofer grapefruit beeris a unique combination of sparkling wheat beer and refreshing tangy fruit juice. Mix of 50% Schofferhofer wheat beer and 50% grapefruit juice. This beer is the world’s first mix of wheat and grapefruit juice beer. This unique flavor profile makes it delightfully tasty and refreshing. Since the juice is made from 100% natural ingredients, you may see some sediments formed on the bottom of the bottle/can. This is normal. Cochineal is added for the pink grapefruit color. This item is imported from Germany. 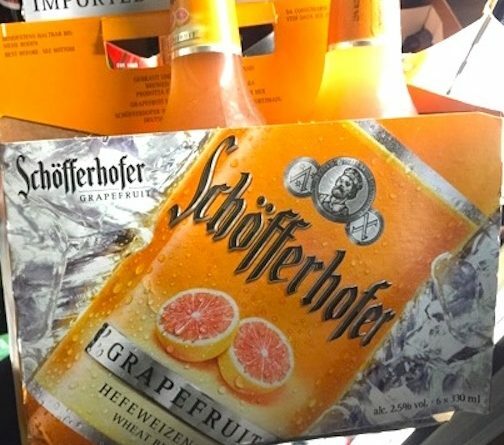 Looking to Buy Grapefruit Beer Schofferhofer Hefeweizen Now? Your local liquor store or grocery store should have this in stock. The best way to find out which merchants are selling the beer is to use the beer locator on the Schofferhofer website. 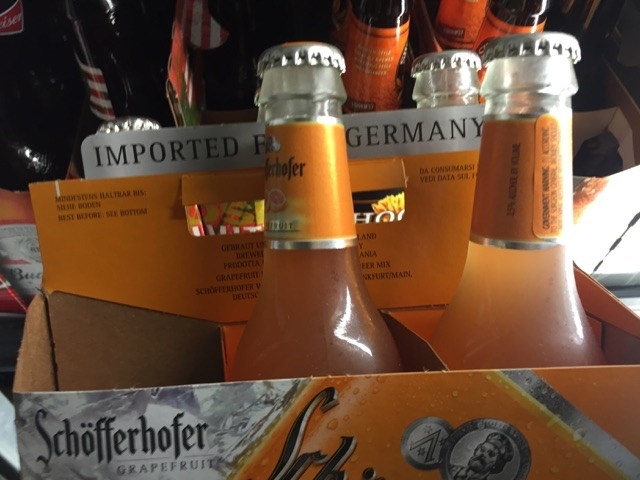 Have you bought Schofferhofer Hefeweizen grapefruit beer before? Great bier!!! Cannot find it in Ohio! Where can I purchase or order it…love it!!! I love the beer too! It reminds me of summer. Use the company’s beer locator to see which stores or bars near your area are selling it.